Laser, Medical, Surgical, and Cosmetic Dermatology. Specializing in PICOWAY Laser Tattoo Removal, Laser Hair Removal, Laser Acne Scar Removal, Coolsculpting, Ultherapy, Kybella, Ematrix, Fractional CO2 Laser Resurfacing, as well as the treatment of all skin diseases. We service Orange County and Inland Empire. We are excited to have a new location in Redlands California. We are very proud that our facilities have the absolute widest selection of the highest end and most advanced laser technology currently available... Hands down! Call or email us to schedule a free consultation and experience a "results driven" medical practice for the first time! Welcome, and thank you for visiting our website! If you’re a current patient, thank you for allowing us the opportunity to fulfill your aesthetic needs. If you’re a new visitor, we look forward to meeting you and exploring the wonderful options available for enhancing your natural beauty through the latest techniques of non-surgical or minor surgical procedures. Our desire is to provide you with the finest personalized care, while creating beautiful, natural results that will turn your dreams into reality. This website was designed with you in mind, and offers us an additional way to provide helpful information that will allow our patients to make more informed decisions. We genuinely hope that you will discover more about our practice, the many cosmetic enhancement procedures and treatments available to you, and other useful information that will answer questions you might have about cosmetic dermatology and the services we can provide. You can follow us on twitter and become a fan on Facebook for more information on what we do. You will be able to follow us day to day, and become a member of our Sublime MD family. Southern California Dermatology, Dr. Ronnie Dawood, MD is a medical professional dedicated to Dermatology & Medical Aesthetics such as botox, restylane, juvederm, Skin Care, laser hair removal, laser Tattoo Removal, & more. 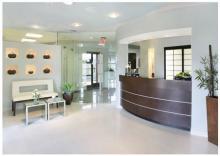 Please come and visit Sublime Medical Aesthetics & Dermatology in Mission Viejo, Ontario or Riverside.